Portal Interactive: 2006 July – 2008 Feb-The most active period in Karachi weather history! Karachi features an arid climate with less precipitation all over the year. Rainfall mostly occur in monsoon season which ranges from july-sept. Average monsoon rainfall is about 120mm.Weather lovers desperately wait for the season to come. But going into past, the monsoon rainfall has been below normal to normal in the city till 2005. But after 2005, all the years were of above normal monsoon rains except 2008. Following are the reasons that made me think that this time period was a new turning point in Karachi weather history. Before 2006 karachi as well as whole Pakistan was experiencing the on and off period of drought. Drought ended in Pakistan in 2004 but Karachi again dumped with no rains in 2005 except one in September, so after such a long period this might be the first active monsoon. Rains started on 30 july with intense thunderstorms and then kept going in august as well as September with small gaps. First spell was quite severe giving almost 150mm rains and the rest of spells were moderate with few heavy falls. Nevertheless, the city collectively received more than 250mm rainfall in the season. Winter of Karachi is mostly dry with few drizzle or isolated showers due to western disturbances. But in 2006, winter starts with an astonishing heavy fall on December 4. A strong western low produced 60.5mm rain in the city with strong winds .This was the highest monthly December rainfall since 1980. Although march is one of the driest months for Karachi but again on 19 march 2007, the city received 53mm rainfall as a result of strong western disturbance. 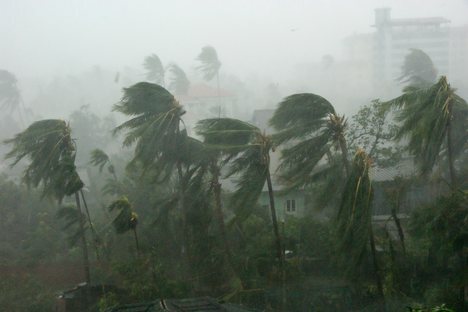 One or two tropical cyclones or depressions are common in Arabian sea in the tropical season which ranges from may to june and then oct to nov. But can you imagine… Two back to back tropical cyclones in just a month of june. 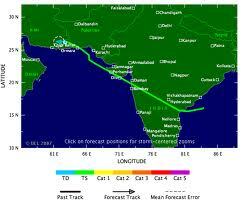 One of them named as GONU reached a category 5 intensity,became the strongest cyclone yet recorded In Arabian sea. GONU poured torrential rains over Oman,UAE and Iran,however it caused light rain in Pakistan coast. The other one YEMYIN wrecked a havoc in the city as it was first expected to hit Karachi and then shifted towards balochistan. But it caused a week long torrential rains in the city and ofcourse one cannot forget the storm of 21 june 2007 which was also during development of the LOW PRESSURE. Monsoon of 2007 was even more active causing 423mm rains in the city. Average low temperature in Karachi during winter is 10-12 C,so winter is normally not so cold. In 2007 dec, winter started normally but then then suddenly become chilly in the mid of jan and feb 2008. Temperature dropped to 5C and ranged between 5-7 for two weeks. This extreme cold wave was due to the strong chilly winds coming from north. ← Portal Interactive: Why WSW Clouds not produce heavy rains! Is there any chance of heavy rainfall in Karachi in the month of August? Not heavy, slim chance of light/moderate rainfall during the second week. Yes! I still remember 2008 and it was lovely weather since you tend to wake late at night with friends at bonfire and seashore were most astonishing experience where very few people and very few waves.My God I wish could have another same season of winter in Karachi………no need to go to Murree or Europe……………I love Karachi……..